Going solar for the industrial companies is good for sustainability. Going solar in the industrial sector is great for sustainability and for the long-term development of your industrial company. Typically, industrial companies use a lot of electricity and hence energy is a huge expense in their operating costs. Not only does a solar power system help to reduce energy costs, but it also helps to reduce the carbon footprint of a company hence contributing to climate change mitigation. Going solar can be a special project relevant to a company’s corporate social and responsibility (CSR) policy. Integration of solar projects into the CSR policy will help to build the image and hence reputation of an industrial company in the long-term among its customers and the community in general. Financial incentives from the government can reduce the cost of going solar. Industrial companies such as manufacturing companies, agricultural farms etc operate in large buildings with a lot of roof space or ground space that is good for a solar power system. An industrial solar power system project may require a lot of solar panels to be installed, especially if a company is looking into investing a large amount to install such a system. Industrial companies wanting to install a solar power system do not have meet the 100% cost of the PV, because the government provides tax incentives, credits and other special grants. For instance, agricultural farms interested in going solar can receive special grants for going solar from the U.S. Department of Agriculture. Such financial incentives help industrial companies to go solar since they make solar energy – a sound business idea or decision. Depending on the size of the solar power system and the level of financial support from the state, the cost of a solar power system can be reduced significantly up to 50%. However, since an industrial solar power system is a huge investment that can range between $50,000 to $700,000 depending on the size of the solar power system to be installed; companies interested to go solar should ensure they do their research well when it comes to cost, quality, financing, size, type and brand of the solar panels to be installed on their premises. 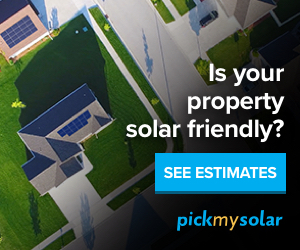 Reliable tools such as a solar panel cost calculator and good information can help you reduce further the cost of going solar. Factors to consider for your industrial solar power system. Industrial companies wanting to go solar may want to conduct more research when it comes to the cost, quality, financing, type, size and brand of a solar power system. Cost:It is advisable to get multiple solar quotes from different solar installers or solar providers to help lower the cost of your solar power system. It is good to get various solar panel quotes from different vendors before you make the final decision about which solar contractor to contract to install your solar power system. Today there are online solar marketplaces like the EnergySage that have a network of hundreds of solar installers in the country. A study conducted by the National Renewable Energy Laboratory (NREL) show that using solar quote aggregators like the EnergySage can help to reduce the solar acquisition cost since PV installers using the platform bid 0.24 watt lower because of increased installer competition. Quality:The quality of solar panels is very important for large solar power systems because of the level of investment involved. As such, the durability, solar panel efficiency and other quality factors should be highly considered ensuring that the solar yields promised would be met for the solar panels to be able to pay themselves. A solar panels warranty should also be provided to ensure that the solar panels can be replaced in case of failure of the solar power system before the 25 years have elapsed. Financing:There are four (4) models of solar panel financing and each has different benefits or disadvantages. Currently, there is cash, loan, solar power purchase agreement (solar PPA) and solar lease. Solar PPA and solar lease enable you to go solar without any money down although you do not own the system and the savings are between 15% to 30% of the energy bill, because they are shared among you and the investors. Buying cash for solar power system is the best and most profitable way of financing because you can save up to 75% of your energy bill and also you completely own the PV system. When you purchase cash, the only thing you are worried about is maintenance of your solar panels, but solar panels have very little maintenance costs. Purchasing solar panels through loan is also feasible, but it depends on the interest rates of your loan and what your payback period is for your specific solar power system. To learn more today about your specific industrial solar panels regardless of which sector, you can sign up with EnergySage to get full support when it comes to your going solar.